Whether it’s a sluggish shower drain, a backed up toilet or a stopped up kitchen sink, a clogged drain puts a damper on your day. Though frustrating, a clogged drain is one of the most common plumbing problems homeowners face. If you have a clogged drain and you’re thinking about picking up some liquid drain cleaner or trying your hand at using a drain snake, think again. Going the DIY route might seem more cost effective, but it’s likely to cost you a lot of time and money in the long run. The plumbers at GT Campbell plumbing are highly trained and have the right equipment to clear any blocked drain. 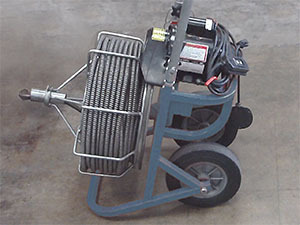 For fast and affordable drain cleaning in Canandaigua NY, we’re a company you can count on! Liquid drain cleaners are composed of toxic chemicals that are powerful enough to liquefy nasty things like hair, food and grease trapped in your drains. Imagine what those chemicals could do to your skin or – even worse – your child. Is it even worth having those products in your home? If you’re dealing with a clogged sewer line, that’s a problem that is a major health hazard in itself. Sewer gases are toxic, and you should never come in contact with the waste in your sewer line. Only a professional plumber is equipped to safely handle sewer line clogs and sewage backups. At GT Campbell Plumbing, we understand that our customers don’t want to spend a fortune on drain cleaning in Canandaigua NY. That’s why we offer honest upfront pricing and we strive to keep our costs as low as possible. If you’re in need of Canandaigua drain cleaning, don’t risk trying to do it yourself. Contact a trusted plumber in canandaigua NY now for help from a dependable plumber.